Suffering from a blocked drain or Drain issue? bad smell or overflowing? Mouland Plumbing & Drainage Services specialise in external and internal drain clearance and repairs. We can get at the source of your blocked drain right from the first visit. Our experienced team provide high quality workmanship, from sewer and toilet unblocking to septic tank Installation, we are the company for you. 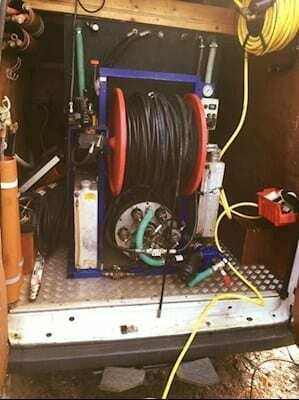 When we arrive at your property and discover a blockage in the drain, toilet or sink we will carry out an unblock by the use of manual rods, or high pressure jetting equipment. Once it is cleared we will then use a camera to carry out a CCTV drainage survey to see what is causing the blockage to prevent any future problems recurring with your drains. When the cause of the drainage problem is identified if further works are required a full quotation will be provided for the drain repair. We offer honest, trustworthy advice and complete transparency with any situation with no hard sales techniques. We are always clear, upfront and honest regarding prices. You will always know upfront what you need to pay and why There are no charges for travel time, emergency charges, congestion charges, or parking charges When you choose Mouland Plumbing & Drainage Services, you choose a company that values customer relationship. Some common causes of drain blockages are cooking fats, damaged pipe joints, root infestation, deformed pitch fibre pipes and scale build up. 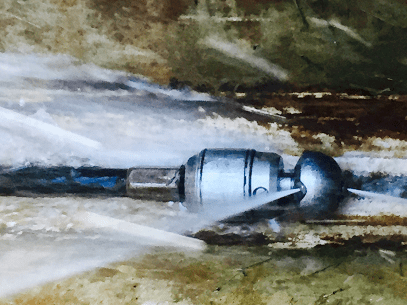 High pressure jetting to clean the drains and remove any debris, roots, fats and scale which could be lining the pipework causing the repeat drain blockages. Pitch fibre re-rounding to return the deformed pipework back to its original shape by way of winching a re-rounding tool through the drain re opening the deformities and removing blisters. Resin drain lining to prevent any further damage to existing pipework and prevent roots from returning in to the drainage system.